Omotola Jalade Ekeinde is a Nigerian actress, singer, philanthropist and former model of an Ondo descent from Lagos, Nigeria. Since her Nollywood film debut in 1995, the leading actress has appeared in 300 films, selling millions of video copies. After receiving numerous high-profile awards, launching a music career, and amassing an enviable fan base, the press has revered the Screen Nation 'Best Actress' as The African Magic. She is the first African celebrity to receive over 1 million likes on her Facebook page. Today, beyond her show business accomplishments, she is also applauded for her remarkable humanitarian efforts. Over the years, Omotola has been a pioneer in the Nollywood film industry, successfully becoming the most watched actress in Africa. In 2013, she was honoured in Time Magazine's list of the 100 most influential people in the world alongside Michelle Obama, Beyonce and Kate Middleton. In early 2013, Omotola made her US television debut in VH1's scripted series, Hit the Floor. On 2 November 2013, she spoke at the 2013 edition of the WISE Summit, held in Doha, Qatar. In 2014, she was honoured by the Nigerian government as a Member of the Order of the Federal Republic, MFR for her contributions to Nigerian cinema. Omotola grew up with a family of five, her parents and two younger brothers, Tayo and Bolaji Jalade. Her mother, Oluwatoyin Jalade née Amori Oguntade, worked at J.T Chanrai Nig and her father, Oluwashola Jalade, worked with Y.M.C.A and the Lagos Country Club. 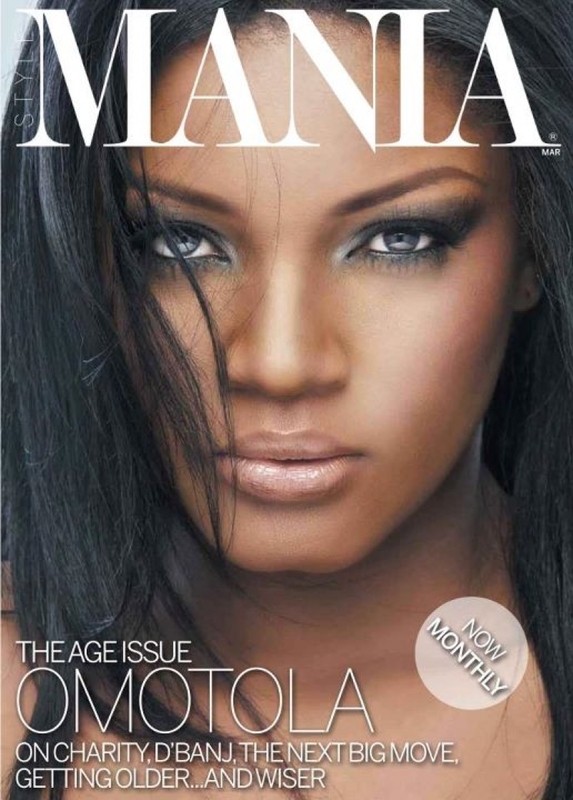 Omotola's original career ambition was to work in Business Management and while awaiting her results from University, she began modelling to earn a living. Omotola attended Chrisland School Opebi (1981–1987), Oxford Children School (1987), Santos Layout, Command Secondary School Kaduna,(1988–1993), she had a brief stint at Obafemi Awolowo University and finally completed her studies at Yaba College of Technology (1996–2004), where she studied Estate Management. 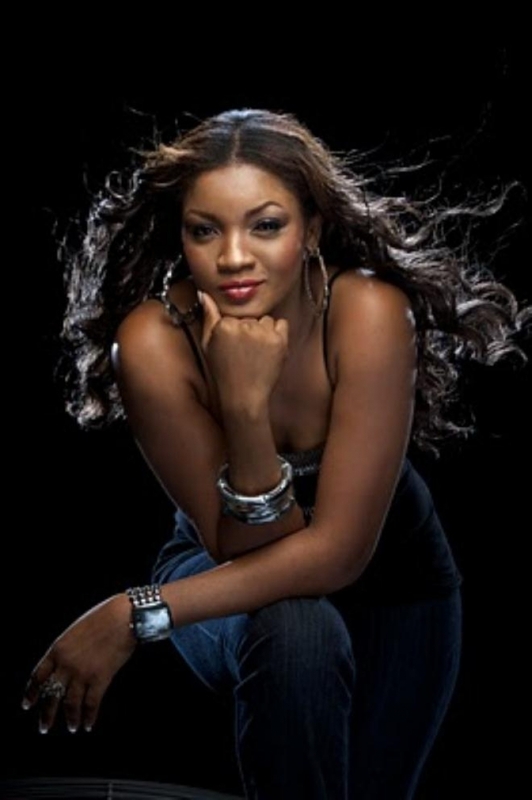 Omotola was later introduced to acting by escorting a friend to an audition. Her first acting role was in the 1995 movie, Venom of Justice, directed by Reginald Ebere. 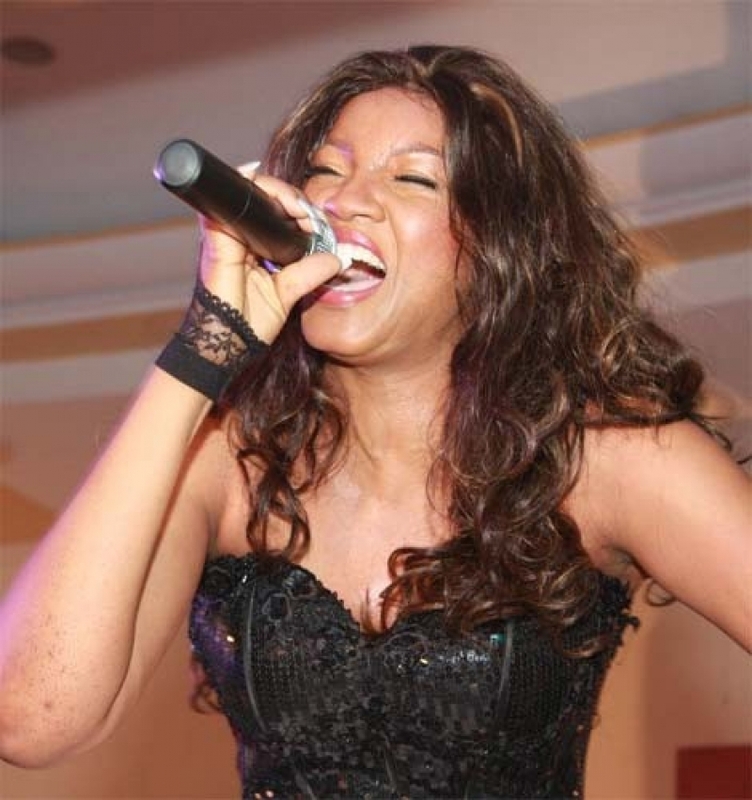 Reginald has been cited as launching Omotola's career. She was given the lead role in the movie, which set the stage for a flourishing career in the Nollywood film industry. Omotola Ekeinde got her first big role in the critically acclaim film Mortal Inheritance (1995). In the movie, she played a sickle-cell patient who fights for her life despite the odds of survival. 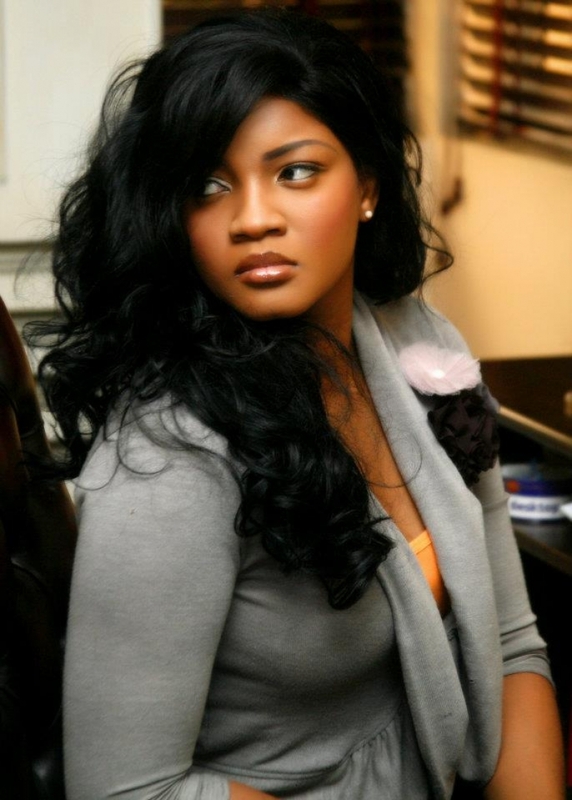 Omotola's character overcame the disease and had a baby. The film is regarded as one of Nigeria's best movies ever made. Ever since then, she has not looked back and she has starred in several blockbuster movies, including Games Women Play, Blood Sisters, All My Life, Last Wedding, My Story, The Woman in Me and a host of others. In the late 90's and early 2000's, the increasingly known actress starred in several sequel films, including Lost Kingdom 2, Kosorogun 2, and Blood Sister 2, leading to a Grand Achiever Award on behalf of the Global Excellence Recognition Awards in 2004. By the mid-2000s, Omotola had catapulted into A-list status. She was awarded 'Best Actress in a Supporting Role' during the African Movie Academy Awards in 2005. After shooting roughly 300 straight to video movies, Omotola received her first cinematic movie role in the 2010 film, Ije. The film was shot on locations in Jos, California, and Los Angeles. Ije was the Highest grossing Nollywood film at the time – A feat later broken by Phone Swap (2012). Last Flight to Abuja (2012) in which Omotola also starred currently holds the record. In 2012, she starred in the Nollywood blockbuster thriller Last Flight to Abuja which beat Hollywood blockbusters like Spiderman, Think like a Man, Ice Age, The Avengers, and Madagascar to become the 2nd highest grossing movie in West African cinemas in 2012. 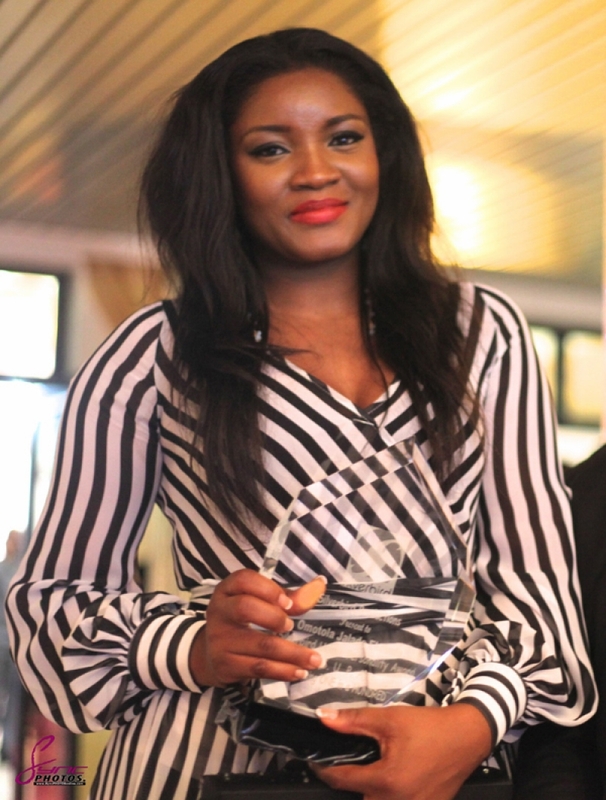 Omotola has gone on to win over 40 domestic and international awards. She is considered Africa's biggest box office actress. OmoSexy launched a long-awaited music career in 2005 with the release of her debut album titled GBA. The album featured the singles "Naija Lowa" and "The Things You Do To Me." Her sophomore album, Me, Myself, and Eyes, brought in production from Paul Play and Del B. It was supported by the songs: "Feel Alright", featuring Harry Song and "Through the Fire", featuring Uche. The album's launch party was held in Nigeria and tables where sold for N1 million. In late 2012, Omotola began working on her third album and enlisted the help of The Bridge Entertainment. She headed to the musical mecca of Atlanta GA to work with some prominent producers and songwriters who could help create a sound that would resonate to American audiences. Studio sessions included Grammy winning producer Kendrick Dean, Drumma Boy, Verse Simmonds. She also recorded with Grammy recording artist, Bobby V.
In 2012, Omotola launched her own reality show Omotola: The Real Me on Africa Magic Entertainment, a M-Net subsidiary broadcast on DStv.Omotola: The Real Me made Omotola the first Nigerian celebrity to star in their own reality show. Omotola became a United Nations WFP (World Food Programme) Ambassador in 2005 going to missions in Sierra- Leone and Liberia. Omotola has been active in the Walk the World project and participated in the Walk the World campaign in Liberia with President Ellen Sir Leaf-Johnson. Omotola is known as a fierce Human Rights campaigner and her philanthropy efforts are centred on her NGO project, called the Omotola Youth Empowerment Programme (OYEP). The undertaking brings hundreds of youths together for the Empowerment Walk and Convention. Omotola lent her voice in 2010 to the Rewrite The Future Campaign of Save The Children UK. Omotola became an Amnesty International campaigner in 2011 and has participated in campaigns in Sierra- Leone (Maternal Mortality) and her recent campaign of The Niger Delta in Nigeria, where she shot a video asking Shell and the Government to Own Up, Clean Up, Pay Up and take responsibility of the Oil spills in the Niger- Delta. Omotola's inimitable viewpoint landed her a now famous column in OK! Nigeria Magazine. 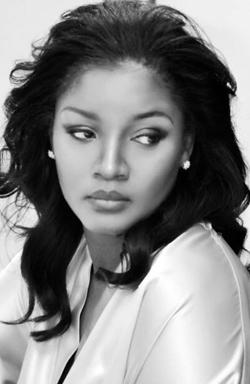 The column is titled Omotola's Diary and features writings directly from Omotola about her life and experiences. On 5 November 2013, Omotola was honoured with the Ebony Vanguard Award at the Music Video and Screen Awards (MVISA) held in Birmingham. On 9 November 2013, Oba Victor Kiladejo, the royal king of Ondo Kingdom conferred Omotola with a chieftaincy title in her hometown of Ondo State. In 2012, CNN Travel noted Omotola's famous tongue (accent) on their list of the world's 12 sexiest accents. The Nigerian accent ranked 5th on the list. The following year, Omotola was named one of the most influential people in the world by TIME Magazine for their annual TIME 100 list. She appeared in the icons category. Omotola married pilot, Captain Matthew Ekeinde, her husband of sixteen years, in 1996. The couple later held a white ceremony on board a Dash 7 aircraft while flying from Lagos to Benin in 2001, with close family and friends present. Omotola gave birth to her first daughter on 30 March 1997. Together, they have four children, Princess, M.J, Meriaih and Michael. Omotola lost her father in 1991.